Following this article will give you clear explanation regarding removal of Trovigo.com browser hijacker, which may attack your browser these days. 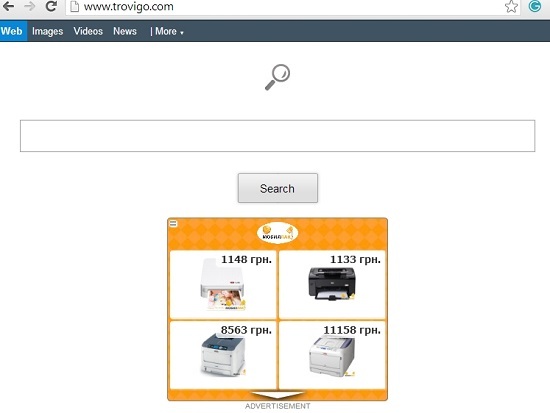 Trovigo is a serious browser hijacker targeting the majority of browsers today. This list includes Google Chrome, Mozilla Firefox, Internet Explorer, Safari and other browsers. Once the attack has been successfully accomplished, the website trovigo.com is set up in the homepage of your attacked browser, and will also be used as its default search engine from now on. Needless to mention, such modifications with your search settings are not desirable at all by you. For this reason you’ve searched for the solution to fix this issue, and this is how you got to our blog devoted to online security and malware removal instructions. Downloading our recommended security software through the direct download button below. Installing the software and scanning your computer with it. Removing all infections related to Trovigo.com browser hijacker. 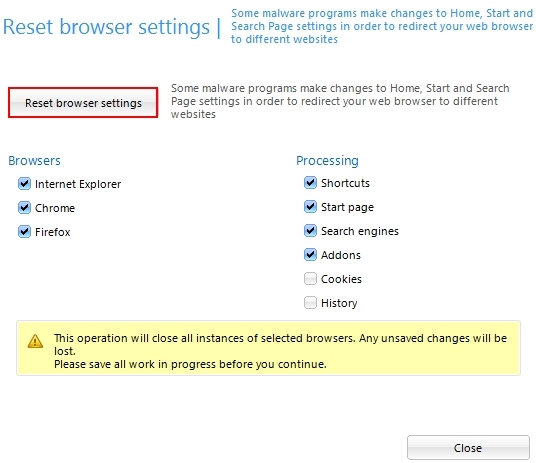 Resetting your browsers affected by Trovigo virus. Keep in mind though that all these four steps are of utmost importance. The very last step that implies resetting your browser is also mandatory, otherwise we don’t guarantee that the problem will be fixed completely. So, let us devote more time to describing what exactly Trovigo is and how it gets into computers these days. Trovigo.com browser hijacker comes into PCs as a result of user installing some other applications, merely those distributed and promoted in the world wide web at no cost. Hence, if you’re a user who regularly downloads such cost-free tools, please carefully read the instructions of their installers. Pay attention to their license agreements, privacy statements and “About us” pages. This is very important when dealing with such free programs downloaded from online. Of course, not many of us actually like reading this boring information, but, believe us, it is much better to read them in the beginning then to spend days and nights finding the solution on how to recover your PC after all these unwanted extra applications attack it. So, don’t permit any concealed installations to occur. Always choose the option of a custom installation, instead of the standard drive-by installation. If you would like to completely remove Trovigo.com malware from your browser we recommend you to perform a system scan of your PC with a proven antivirus software. This will assist you in identifying all files and registry entries related to it, and will surely aid you in deleting them all (provided that the software you’ve chosen is powerful enough for such detection and removal). At the same time, as we’ve said above, the last but not the least, you will need to reset your browser infected by Trovigo.com hijacker. This last step can also be performed very well with the program recommended for download below.